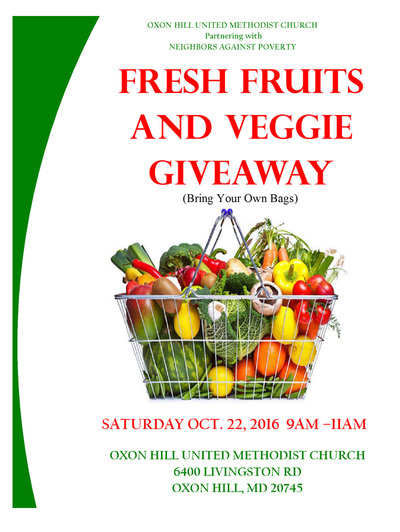 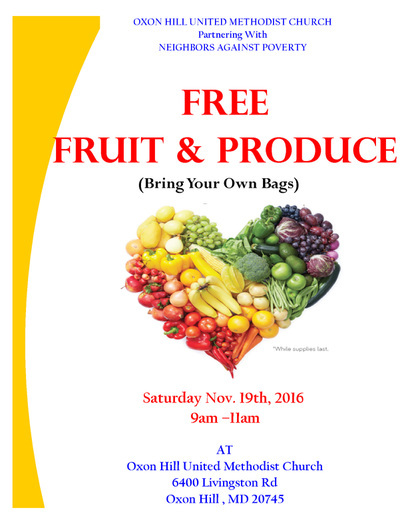 Oxon Hill United Methodist Church. 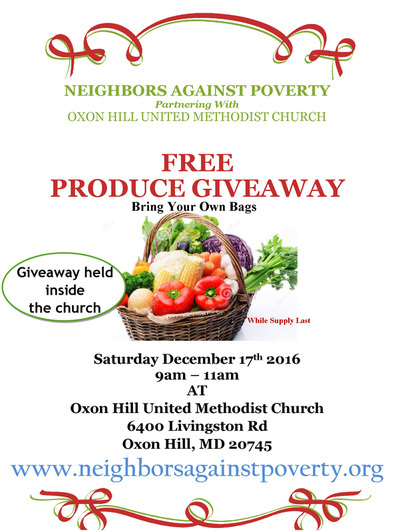 The church is located at 6400 Livingston Rd, Oxon Hill, MD 20745. 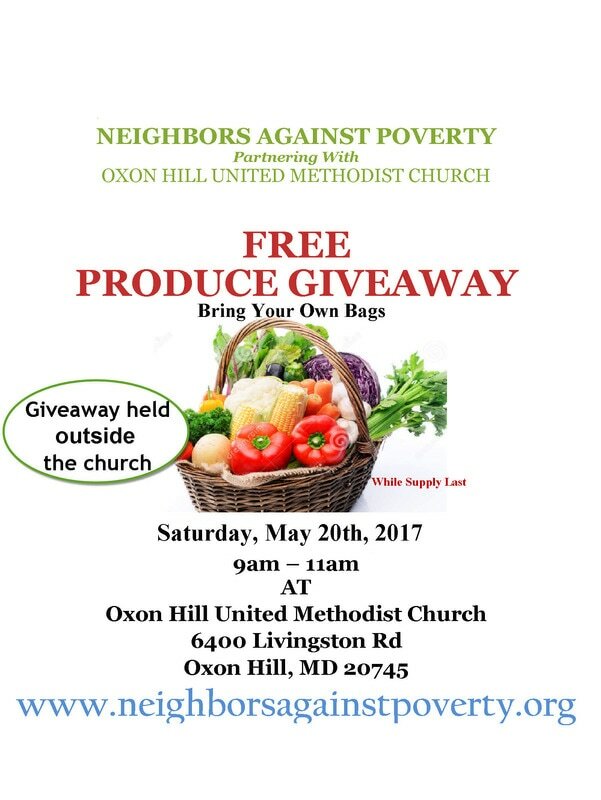 The food distribution will be held in the rear parking lot. 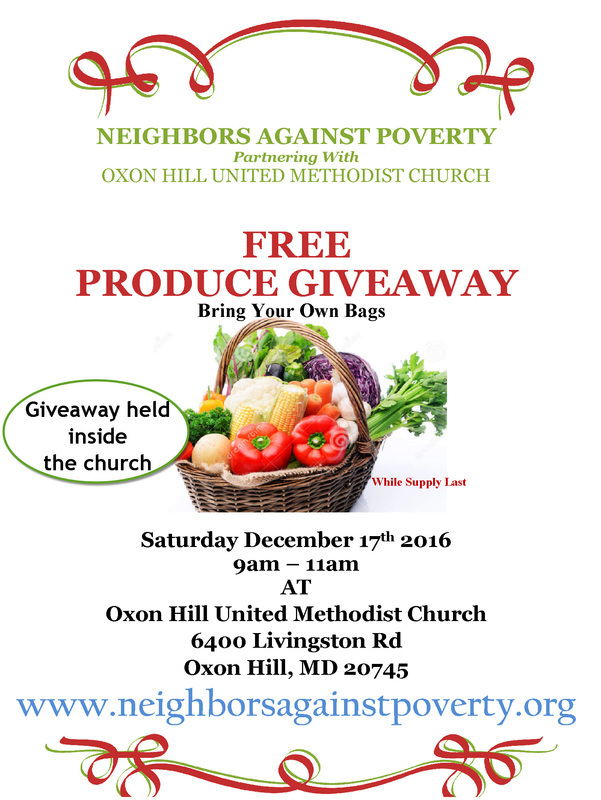 During inclement weather, distribution will be held inside the church. 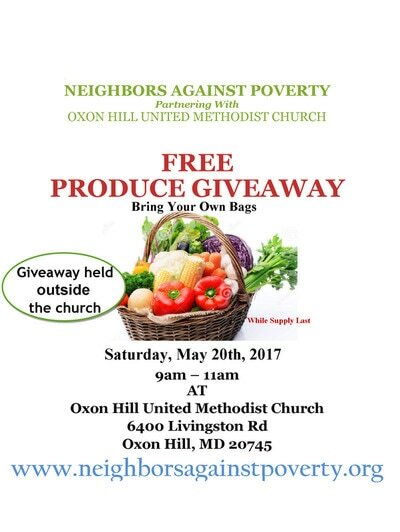 ​The food will be passed out on a first come, first serve basis — while supplies last.